Stock status is current as of 4/21/2019 2:26 AMET. 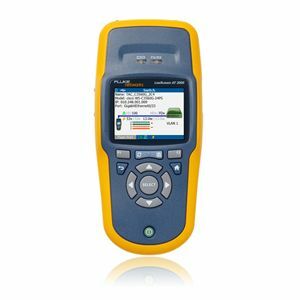 The Fluke LinkRunner AT 1000 Network Auto-Tester is a copper and fiber network connectivity tester which is also quick in terms of operation. The AutoTest performs most essential connectivity tests in just 10 seconds, so that you can quickly and accurately detect and resolve network connectivity problems. The Cloud reporting without human intervention uploads connectivity test results directly to the Link-Live Cloud Service for reporting and project management purposes. It has a plus point where it can easily detect the closest based Switch or Virtual LAN networks. NetScout logos are registered trademarks of NetScout. All others trademarks and copyrights mentioned herein are the property of their respective owners.